Watch this amazing cat at the beginning and close of this “foot”-age. If any ballet companies are looking for new talent, this floating feline is up for an audition. 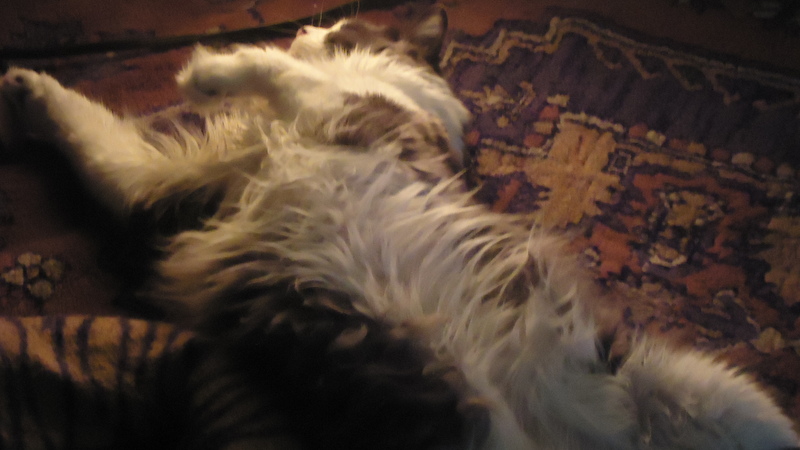 In any case, he earned himself a well-deserved catnap after a virtuoso “paw”-formance. Notice his graceful balletic form as he sleeps. P.S. Love the very musical cat! These prior comments and their responses, might answer, in part.. and thanks for liking my musical cat, I do believe he knows the C# minor Waltz in his sleep…. Have you seen his audience attentive appearance at the piano bench during the Chopin Waltz in A minor?